We are fortunate to have as our speaker a woman who has an insider’s perspective on issues of power and governance that have been the focus of recent news stories on NC’s system of public education. Marge Foreman, Government Relations Specialist for NCAE, is a lifelong advocate for fairness and justice for both career educators and North Carolina’s schoolchildren. Currently, her work in government relations at the state level has her full attention as the state’s Board of Education and our elected Superintendent of Schools sort out questions of who makes decisions that shape the future of our public education system. 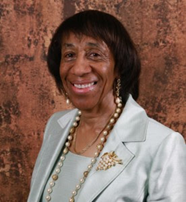 Ms. Foreman has been chief lobbyist for NCAE as since 1984. Before that, she was a Kellogg Fellow and Research Assistant in the Office of Institutional Research at NC State University and an economist at Research Triangle Institute. She has won two annual NEA Research Association Awards and holds a B.S. in Economics from NC Agricultural and Technical State University, where she also did graduate coursework in Adult Education. Our speaker welcomes the opportunity to talk with us about the promises and the challenges that face educators in NC today. This entry was posted in Calendar on February 14, 2018 by lisalowe.